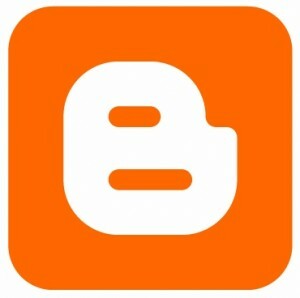 Is blogger.com down? Is It Under Maintenance? I have a friend, internet friend as they say because I only met him on the net as he is also a fellow blogger like me. He asked me if blogger.com is also down on my country since he can't open the homepage of blogger.com on his browser, he's from India. He said that he can open his adsense account, google's homepage and his gmail as we are talking in gtalk. So I tried loading the website and it came loaded to me with no hassle. So I asked him to clear his browser's cache and try loading the page again. So he did, and this solved his problem. Little as it may seem, this solved his BIG problem. Big as I had referred it because he can't post if he cannot load blogger.com right? So if you are in the same situation where you can't also load blogger.com homepage, here are some more solution that you can try before calling 911 (literally I mean). The basic, sometimes browsers automatically save cookies or cache a particular site ans sometimes this cached items got corrupted on some way that it hinders on loading the actual page, just like any other file cache items can also get hey-wired, it's a computer file - what would you expect? Aside from the above tip, try another browser to ensure that there is nothing wrong with the website you are loading. If you have done the above tip, then you may consider reinstalling the browser to refresh it totally. As an IT person, this usually solves many problems even those irregularities where no logical explanations can apply. There must something wrong happened along the way that causes the unloading of that web page and having a clean start could solve the problem. Hey, I can see those eye browse. Okay, I might be a little exaggerating here but I just included this if everything seems didn't work out. Anyway most advance operating system (like Windows Vistat and Windows 7) today enables you to load a system image to take your operating system state like day one. Well, that would be all. Do you think I miss something? Please do share to us if you can still add anything.